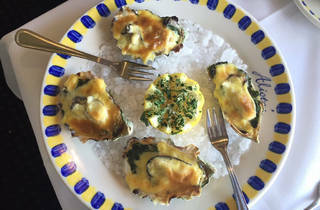 Fisherman’s Wharf is a labyrinth of seafood restaurants claiming world fame but there’s only one that really deserves the honor: Alioto’s. Named after Nunzio Alioto who began his business selling lunch to Italian dock workers out of stall #8 in 1925, the modest eatery expanded over the years to become a two-story, full service Italian seafood restaurant. 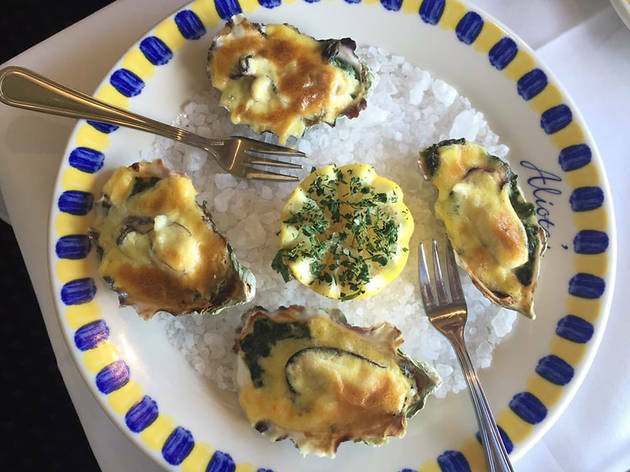 Alioto’s offers surf and turf, heavy on the surf, with specialities like Nonna Rosa’s Crab Cioppino and house made seafood sausage. Keep an eye out for the restaurant’s two walls made entirely of clam shells eaten by patrons over the last century.